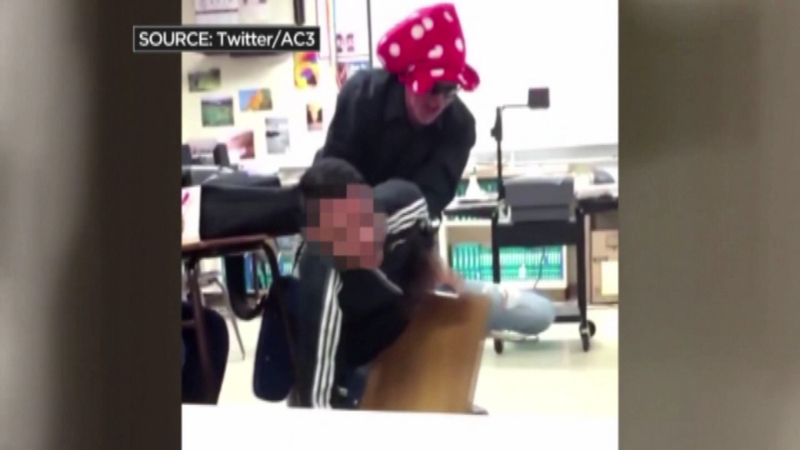 SACRAMENTO, Calif. -- A California teacher was arrested after video surfaced of him wrestling a student to the ground. The school district is now investigating if David Fritz, 58, was drunk in the classroom. Fritz teaches English at McClatchy High School in Sacramento. Witnesses say the student was misbehaving, and Fritz got physical. "A student was acting up in class. The teacher told him to sit down and stuff and he didn't sit down, he didn't pay attention to none of that," said Lee Coleman, a junior at McClatchy High School. "So, he sat down and the teacher started yelling at him and we couldn't understand him because he was slurring his words." District officials say they are looking into whether alcohol may have been involved.